← Of Bats and Brides: Who’s Your Valentine? Within four months of his birth, my fair-skinned, redheaded little boy (Little Man) showed signs of distress. His entire body was ravaged by angry eczema: his little cheeks, his chubby feet, his long arms. Every day, despite the creams the doctor recommended, I watched his body resemble that of a burn victim. It broke my heart. We soon realized there was a dairy allergy and that I had to eliminate dairy from my diet if I was to continue breastfeeding him. A huge latte fan, I started using soy milk. As ridiculous as this sounds, even something I missed such as the dairy content of crackers, would crackle his precious little face. No matter how much I attempted to eliminate my own dairy, it was soon clear I could not continue to be his source of nutrition. We had to switch to a soy-based formula. When our children are touched so directly by the fall from perfection in the #GardenofEden, there is something so base, so animal, within us that wants to sit at the gate and beg the angel to let us back in the Garden and slam the doors shut again. As he approached the 13-month mark, we discovered peanut allergies as well. At the suggestion of the pediatrician, we offered one tablespoon of macaroni and cheese, which confirmed the dairy allergy had not disappeared. We were soon strapped into the back of an ambulance on our way to the emergency room. Through more investigation with the pediatric allergist, we learned that our son was allergic to all tree nuts and all forms of egg in addition to the peanut and dairy. Reading food labels quickly became our new normal. As he approached 18 months of age, we were on our way to a two-year move to the Marshall Islands for my husband’s job when Little Man had emergency surgery on a hydrocele (hernia in the groin area). In the process, we discovered asthma (which later worsened, adding inhalers and nebulizers to the mix!) as his airway reacted to the anesthesia. We left a week later for a remote location in the middle of the South Pacific with epi pens and a need for intense label reading and controlled cooking. He was my third child, and this responsibility to keep him safe overwhelmed me. I didn’t let anyone babysit him for years, and I couldn’t relax at company potlucks. One small, wrong ingestion and we would be calling the EMTs. And we did, several times over many years. Even the entrance into preschool set me on edge, but thankfully he was very verbal and expressed his panic anytime the school tried to offer him something I did not provide. You might say that during his first five years, I was more than an advocate, more than hypervigilant, even. I was daily fearful and neurotic. When Little Man was six years old, a man in my church, who had come over to pray for my migraines, asked my small son if he would like to be prayed for regarding his food allergies. Little Man agreed, and God chose to heal him in that moment. It was truly a miracle. I had a very surreal experience that day when God showed me how much fear had enslaved our family. As we rubbed milk on my son’s arm (which normally led to immediate hive flare-up), my older son grabbed the phone to call 911, my daughter asked if we really should do that, and my husband’s eyes almost popped out of his head. My son had no reaction, and we later confirmed all of this with allergy tests. He was healed! That was truly miraculous, and it set us free in more ways than one, but I quickly noticed as a mother that the hypervigilance around food intake that my small son had become so accustomed to left a void he had depended on psychologically. So much energy and mind space had been spent on keeping himself safe, that within days of being released of food allergies (and eating pizza and ice cream for the first time! ), he developed obsessive-compulsive disorder (OCD) behaviors around cleanliness: He would repeatedly stress over whether he washed his hands at all or enough, if something was a germ, and he transferred all his fears into the world of bacteria. We prayed with him and explained he was no longer trapped by fears, and for a while the patterned behaviors (repeated hand-washing, perseveration, etc.) went on vacation, but we saw them again sooner than later. It seemed as if we could never fully catch our breath. Would we ever relax with this child? Would he ever balance out to taking only one-third of our parenting pie so the other children could have their full share? We didn’t know. Over the years in preschool and kindergarten, I heard from teachers about his difficulty sitting still, his underdeveloped fine motor skills, and his incessant chattiness. In some ways, the talking was refreshing. It made me worry less about his self-advocacy. We knew there were issues on the horizon and testing was in our future. We gave him an extra bridge year between kindergarten and first grade (referred to as pre-first grade in our school district), but we were in no way prepared for his first grade year. Enter a teacher who had just lost her husband the June before school started. I look back now and have more compassion, but when I heard repetitive complaints from her about my son three weeks into the school year and asked her if she had read his IEP, she said “no.” Five months later, she still hadn’t. And in those five months, she had somehow managed to convey to my son how unworthy he was: not in her words so much as in her actions. When I volunteered in the classroom on several occasions, I would see him sitting at the very back of class. She would answer every other child, even the ones who got out of their seats, but completely ignored my son when he raised his hand. In the meantime, he had been slipping into a world of perseveration over germs. If he needed a focus tool approved by the school, such as gum, at seven years old, he had to approach her and ask. He would come home and cry in fetal position on his bed. He would talk about burning in hell. He wasn’t sure where God was. And he told me nobody understood him. My once friendly, outgoing, gregarious child slipped into a cage of anxiety. And then came my rage and the need to tame it. I was angry at this teacher for not seeing the crisis and her own role in it. I was furious with a school district not adhering to a legal document. I also was wondering where God was as I lay next to a trembling little boy at night whispering prayers and blessings over him in the top bunk above my older son sleeping below. It was a year my husband and I learned to tame our tongues, to grow in patience and self control, to pray before each school meeting. While I was away one weekend working on the book I was writing, I stopped and drafted the entire story to our school principal. I prayed and sobbed as I wrote it, but I told her everything: about her teacher, about my son, about my pain as a parent, and about my disappointment with the school for failing to help my child. I was firm but polished anger in words that were more digestible. See, I was a born advocate, but when you add the immense pain of your child to the mix, fangs are not far behind. Those fangs threatened to keep me in a bitter place for a long time after that. I had a very difficult time trusting anyone in the special education field or any other staff who were slowly added to my son’s list over the years. Before it was all said and done, that principal worked with us so graciously and took responsibility. And we added a psychiatrist, child therapist, psychologist (both inside and outside the district), and occupational therapist (also within and outside school) to his list of caregivers. Among the multiple diagnoses were ADHD, generalized anxiety with OCD components, sensory processing disorder, and fine motor and visual motor disabilities. We pursued all the help we could, regularly driving 40 minutes each way at least once a week to appointments for years. My husband lost work time and could not travel for business as much as he needed to. We went to therapy with our son, together as a couple, and as a family. One of my lowest moments was when all my children took aim at me in a family therapy session, blaming me for all the fails from their perspective: catering to the youngest child, not managing everything perfectly with a travelling husband and a child going to multiple appointments each week. There were more examples, but because I was the parent around the most, surely it was all my fault. The blame continued all the way home. I felt so defeated. But from that pain, God turned my heart to listen to the needs there. He did not expect me to take full responsibility but to respond as an unconditional mother and not as a wounded child. It took time, but we made some changes in our family dynamics, in the way we listen and speak to each other. Through this years-long process, I started a special needs ministry at my church for parents of children with special education needs, mental health issues, and physical disabilities. We are on our third year running. My older two children (now teenagers), have volunteered to work in various capacities in special needs ministry in our church. My husband and I, now married almost 25 years, have found the strength that comes from walking through the darkness together, doubled over in pain for our little boy, and we consult each other with better communication. My son, while still only 12 years old, has faced so much so early in life that his coping skills are strong for a child his age. Some of his disabilities are closing developmental gaps and are more manageable. He has learned strategies to give his body what it needs (supplements, physical exercise, feedback, rest) when he experiences signs of dysregulation. This is a far cry from our once twice-a-day brushing of his limbs and accompanying joint adjustments. And he looks out for the other “underdogs” in the school system like he was. I would never have signed us up for any of this, but I love what God has created in our family, what He has shaped and molded. None of us would change the ways He has made us more tender and has taught us to speak appropriately when help is needed. If any part of this is you, or perhaps your loved one has a more significant diagnosis, God is faithful. His handiwork can be seen in all of it, even in the middle of your storm. We could not have found the air above the water we were sinking in if we didn’t know how much we could trust our God, our Savior, Jesus Christ. To Him, all the glory! 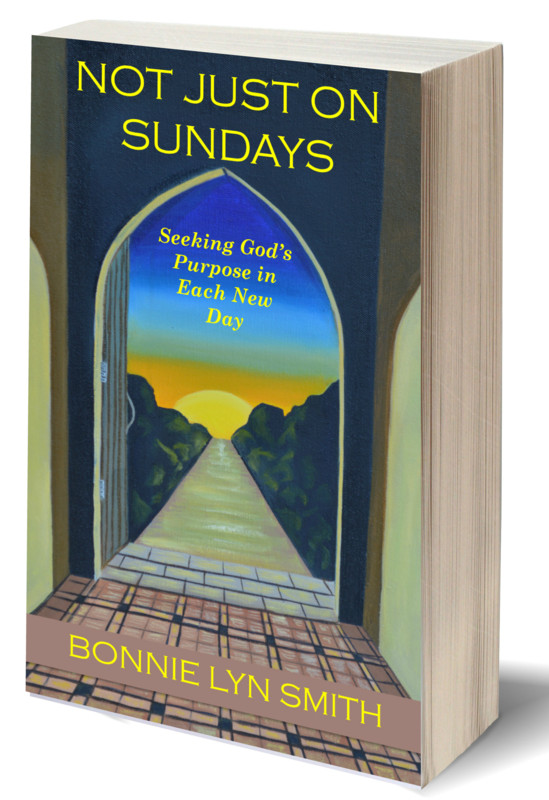 Pieces of Little Man’s early story can be found in Not Just on Sundays: Seeking God’s Purpose in Each New Day (includes Book Club Discussion Questions). *This blog was first a featured post at Vanessa Samuel: Making His Name Known Far and Wide. Thank you so much, Liz! I really appreciate you stopping by. Blessings!